We write this just to give a quick update on the rapidly changing situation in Hamilton. 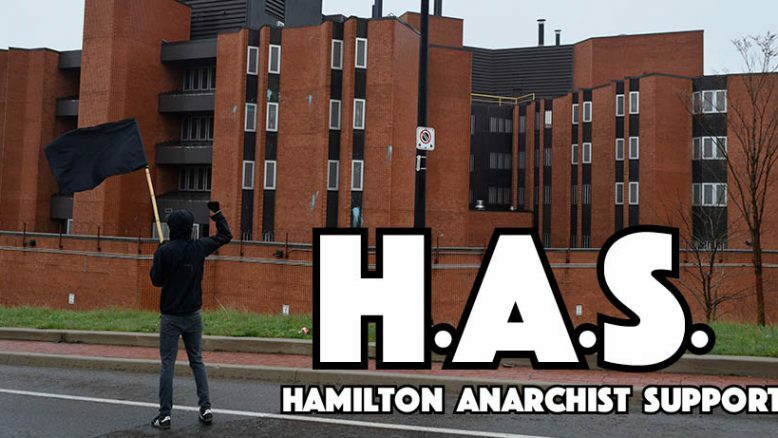 since yesterday, May 31 2018, three more people have been arrested in connection to the so-called Locke St riot: one was picked up by the SPVM in Montreal and was flown to Hamilton, where they are in custody awaiting a bail hearing, and the other two were arrested in Hamilton. One of these people is already out on bail and another will appear again on Monday. Further, the police released an additional three names of people against whom they have laid charges and are seeking to arrest. Charges against all six include mischief against property, unlawful assembly while masked, and variations of conspiracy and counseling to commit those things.